← How many Alfred Hitchcock Films did James Stewart star in? “I believe everything and I believe nothing. 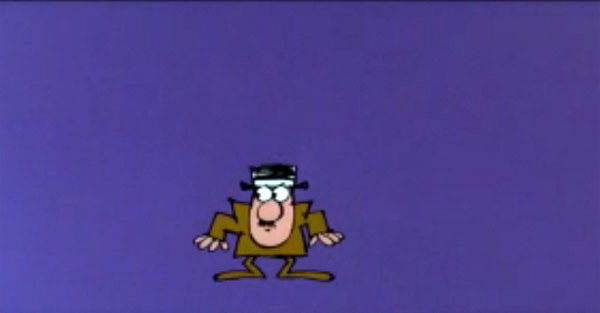 The original Inspector Clouseau played by the inimitable Peter Sellers, of course! I can’t even count how many times I’ve seen A Shot in the Dark, and yet I still looked forward to watching it again in preparation for this Sleuthathon. And, as always, from the moment the fabulous opening credits appeared on the screen (complete with iconic cartoon and marvelous Henry Mancini score), I sat in eager anticipation of watching poor, bumbling Inspector Clouseau bungle his way through murder, mystery and mayhem, in his attempt to prove that beautiful housemaid Maria Gambrelli (Elke Sommer) is innocent of the murder of chauffeur Miguel (and incidentally her lover). For me, what’s truly funny about this film is Seller’s incredible straight-man seriousness and inimitable slapstick timing. Movie Trailer: My favorite scenes are about 42 seconds in (when Clouseau gets his hand caught in the globe), followed by about 1:20 in (when he attempts to break down a door)…. Tthe second installment in The Pink Panther series, the first being The Pink Panther starring David Niven, also directed by Blake Edwards. The film did not originally include the character of Clouseau. Clouseau was written in later by Blake Edwards and William Peter Blatty (who incidentally wrote the novel and the screen play for The Exorcist). 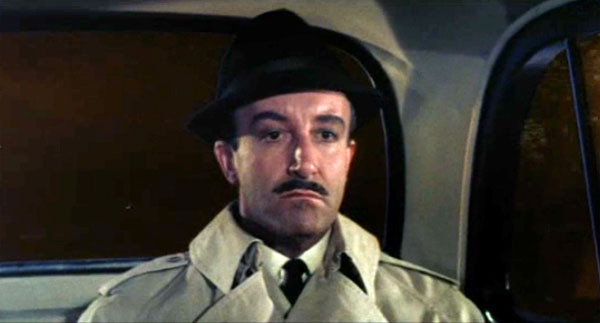 Sellers said in interviews that the secret of Clouseau’s character was his tremendous ego, making his klutziness funnier because of his quest to remain elegant and refined while causing chaos everywhere he turned. The role of Maria Gambrelli was originally given to Sophia Loren but she became ill and couldn’t do it. The play, A Shot in the Dark, ran for 389 performances at the Booth Theater from October 18, 1961 to September 22, 1962. The original cast included Walter Matthau (Tony Award 1962 for Best Featured Actor), Julie Harris, William Shatner and Gene Saks. This was the perfect excuse to watch A Shot in the Dark again (like I really needed an excuse?). A Big Thank You to the marvelous Movies Silently for hosting this very special Sleuthathon event! This entry was posted in Blogathons, Posts by Annmarie Gatti, Quotes and tagged A Classic Mystery Blogathon, A Shot in the Dark, Inspector Clouseau, Peter Sellers, Sleuthathon. Bookmark the permalink. Ah, such a fun movie! My brothers and I used to attack one another Kato-style, much to our mother’s displeasure. Enjoyed your rundown of the greatest hits and lines in the film. A great way to capture the flavor! Don’t you just hate those “buemps” on the head? I have not watched this movie in ages. I can’t even tell you how many years ago, because I can’t count that high! You have sent me back into Clouseau mode and you have my undying appreciation. Funny bone Classic. One of those films that I can’t help but practically recite while watching. Lost track of how many times I have watched this as well as the follow ups. With all due respect to Peter Ustinov, I am glad be bowed out of the role in the earlier film. Oh lord, how I love this film! Sellers was simply brilliant and the films of Blake Edwards just get better with time. I saw this film in the movies as a young kid and the scene in the nudist camp seemed absolutely forbidden! I laughed till I cried and wanted hair like Elke Sommer! Thanks for the memories. I’m so happy you wrote about A Shot in the Dark. My family also watches it every time it appears on television. I liked your observation about how “always shows great instinct for solving crimes (in spite of himself! ).” Thank you for sharing this with us all. I’m another one who hasn’t seen this film for YEARS, but your post has made me yearn to see it again. Clouseau really is one of the all-time great detectives – he solves crimes in spite of himself. Thanks for giving us a wonderful review! Nice one! Inspector Clouseau is an absolute hoot and it never gets old. What a great post! Inspector Clouseau is probably one of my favourite on-screen detectives, and always (in my opinion!) so impeccably dressed. I haven’t seen this movie for years, thank you for inspiring me to watch it again!